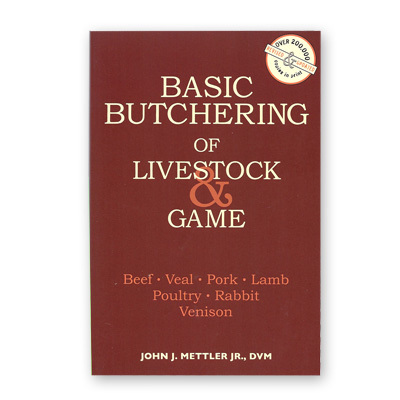 This is the book for anyone who hunts, farms, or buys large quantities of meat. The text is clear and easy to follow. It takes the mystery out of slaughtering and butchering beef, veal, venison or other wild game, pork and lamb. Combined with 130 detailed illustrations, the reader is provided with complete step-by-step meat cutting instructions. The Author John J. Mettler, JR., has years of experience as a large-animal veterinarian in upstate New York, and as a writer on veterinary topics..